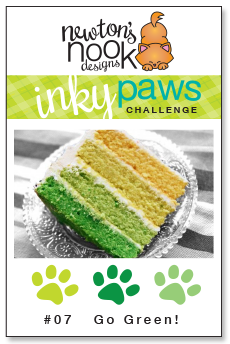 Inky Paws Challenge: Inky Paws Challenge #7 - Go Green! Happy Friday and the the first day of #07 Inky Paws Challenge! This month's challenge is Go Green! With upcoming spring weather (I hope) and St. Patricks day just around the corner I thought this green ombre cake image would be fun inspiration! 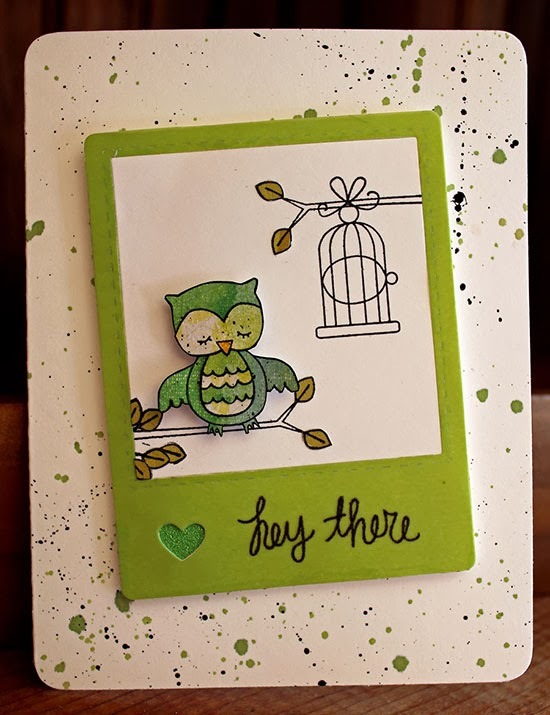 You can use any shade of green on your card (other colors are ok as long as Green is the primary color) and any Newton's Nook Designs Stamps! You have two weeks to play along. Deadline to enter is Friday, March 14th, 2014 at Midnight CST. The winner will be announced on the NND blog on Monday, March 17th. Post your project to your blog or to an online photo gallery such as Flickr or splitcoaststampers (on splitcoast please use keywords newtonsnook and IPC07). 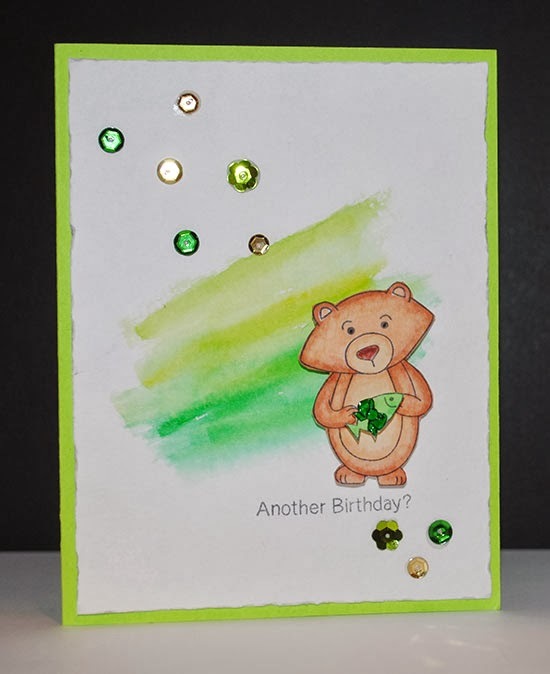 I love the green watercolor background on this card by our Guest Designer, Debbie Owens! She used our new stamp set, Winston's Birthday! 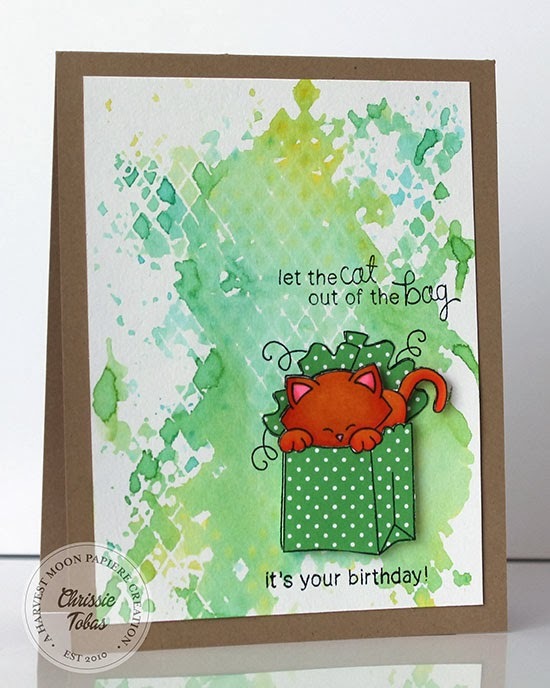 Our Guest Designer, Chrissie Tobas also did a watercolor background on her card featuring Newton's Birthday Bash! I love how this turned out too! 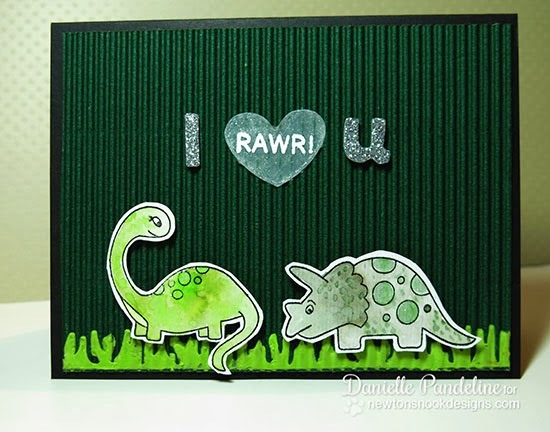 Design Team Member Danielle used our Dino Set, Prehistoric Pals to create this fun green scene! 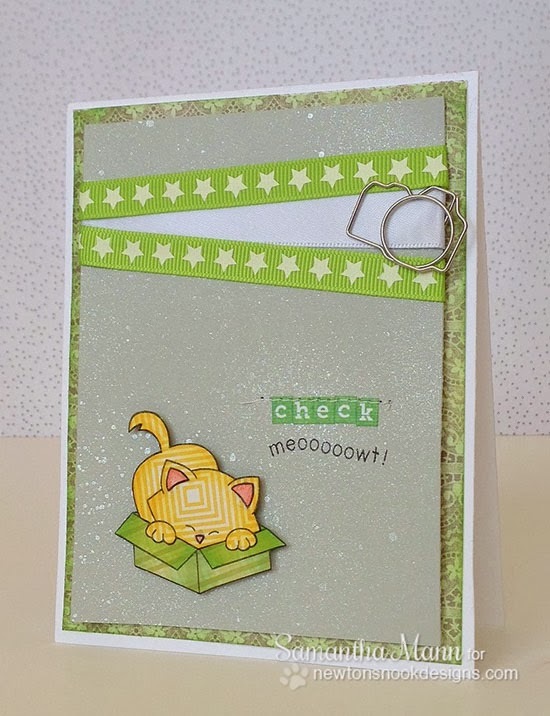 This cute kitty card by Samantha Mann makes me smile! I love the sentiment she created to go with the kitty from Newton's Antics! Plus the green box is adorable! 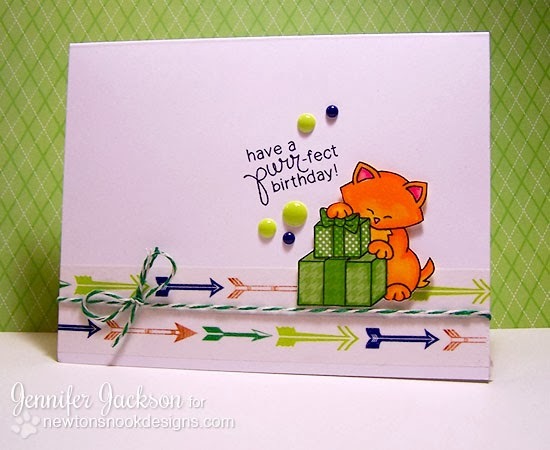 Larissa Heskett is so good at combining stamps from different sets! She use the owl from Sweetheart Tails, the Branch and birdcage from Tweet Talk and the "hey there" from Love à la Carte! 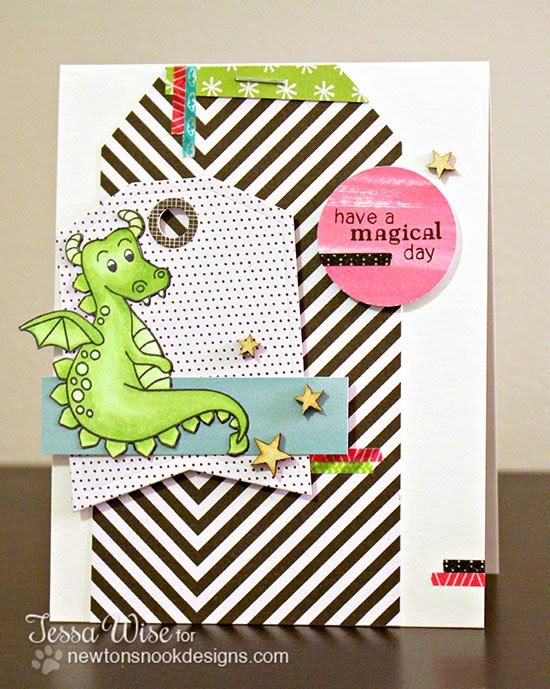 For this fun "green" card Design Team Member Tessa Wise used the fun dragon from our Magical Dreams stamp set! I love the little bits of colored tape too! This fun card is by Design Team Member Christine Drogt. 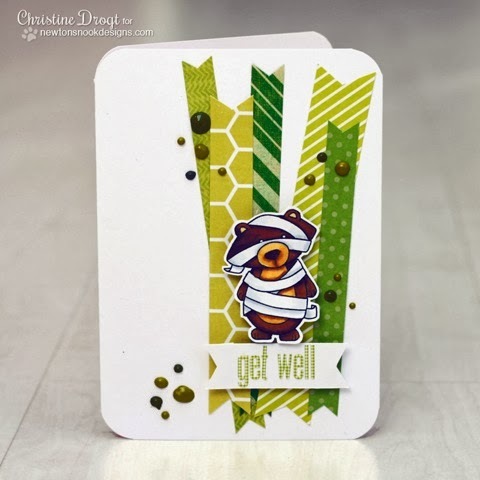 Christine used the bear from our Halloween set, Boo Crew and made it into a get well card! Such a fun idea! Here's one from me :) I used some fun arrow washi tape and gave the kitty from Newton's Birthday Bash a stack of paper pierced green gifts! Another one by me - I couldn't resist using the newly- named Winston! 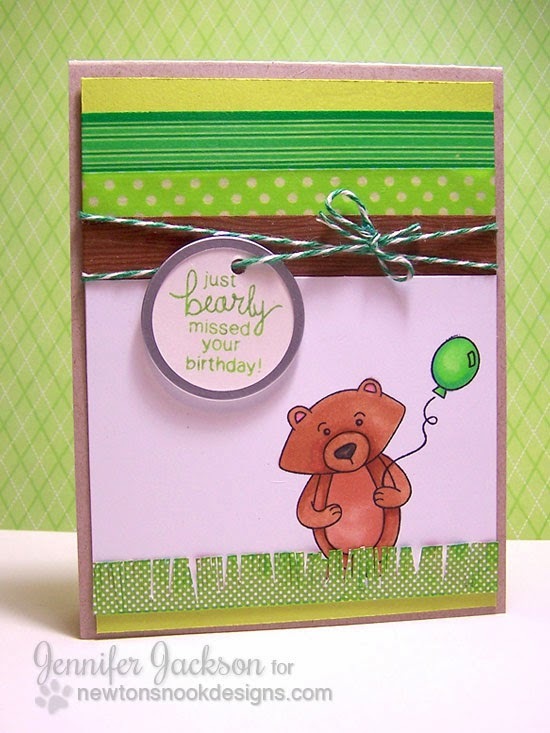 I used the Winston's Birthday Stamp set to create this fun green scene! Inky Paws Challenge #6 Winners!